There's one plant that I question having in my garden every year, and that's Monarda or bee balm. I once grew three different types, but am now down to just one: 'Marshall's Delight'. Its bee-attracting blooms are what save it ever year, because it has some problems. The first is that it spreads quite vigorously, but that doesn't bother me -- I deal with vigorous plants all the time. 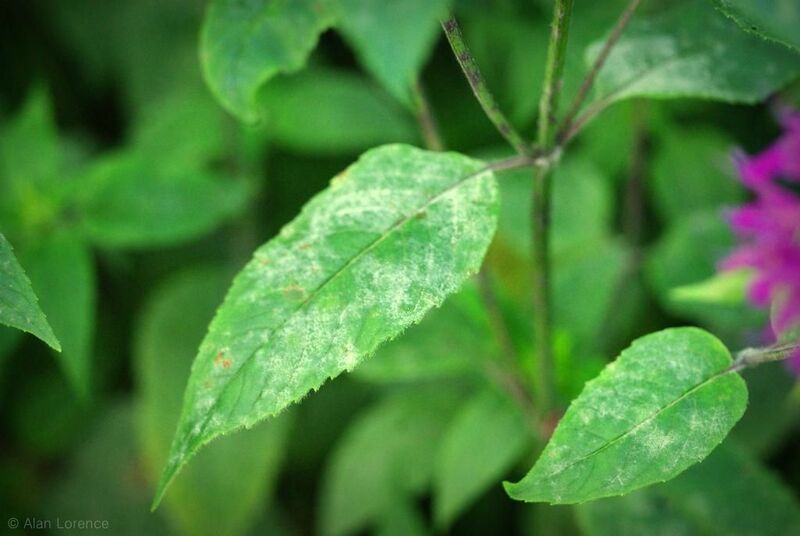 The second problem is that it is guaranteed to have powdery mildew every year. I sometimes try spraying it with the milk solution and that seems to help, but you have to spray fairly regularly and I don't think there's anything I do in the garden fairly regularly, as I often follow whims when I'm out there and don't have loads of time on most days. I just love it! 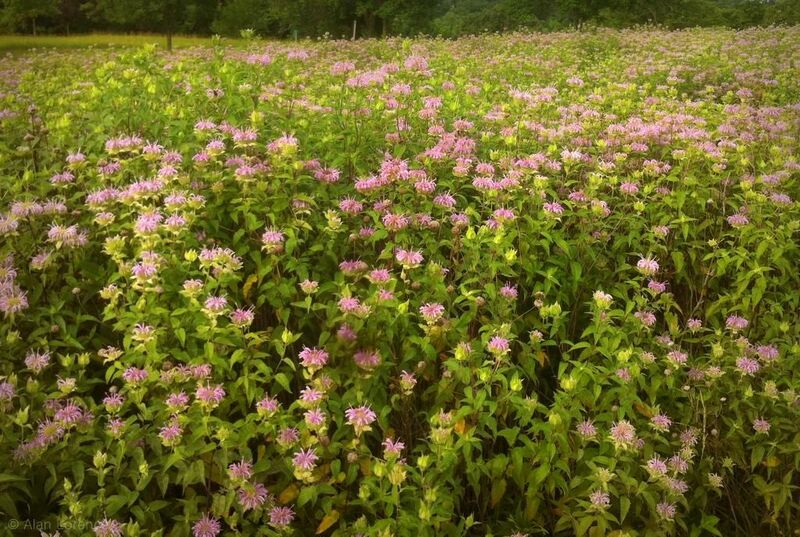 A patch of bee balm in bloom is a wonderful thing! Whereas my planting is about six feet in diameter, this sea of blooms is measured in acres! Just amazing! 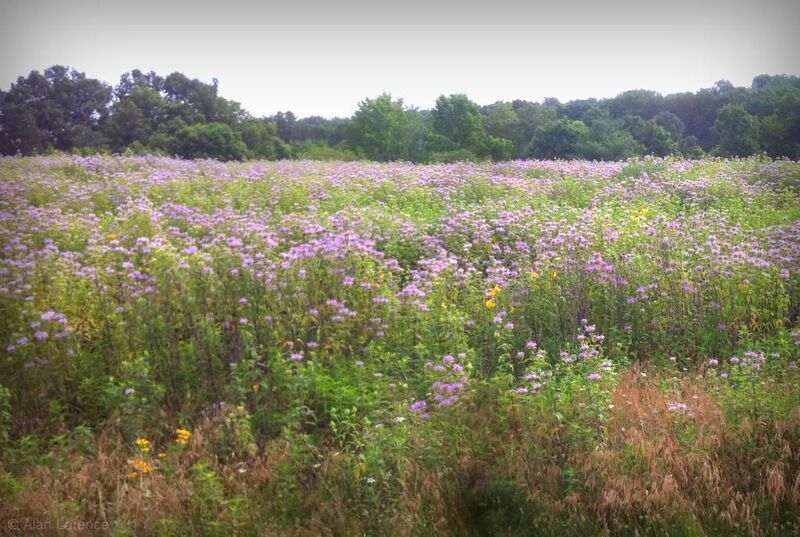 The fact that this is found in a County Park and not a Conservation Area or State Park makes it even more wonderful to me. It was a really nice surprise! This is probably Monarda bradburiana, a Missouri native. I should add some of this to my garden, as it's certainly pretty enough and reportedly has good mildew resistance -- although I did still see signs of it on these plants. I tried monarda several times but I never got it to bloom. I don't know why. I see it in nurseries very ocasionally, but I've never seen it in anybody's garden around here. I wonder what makes it so difficult to grow in the west? It sure is beautiful. 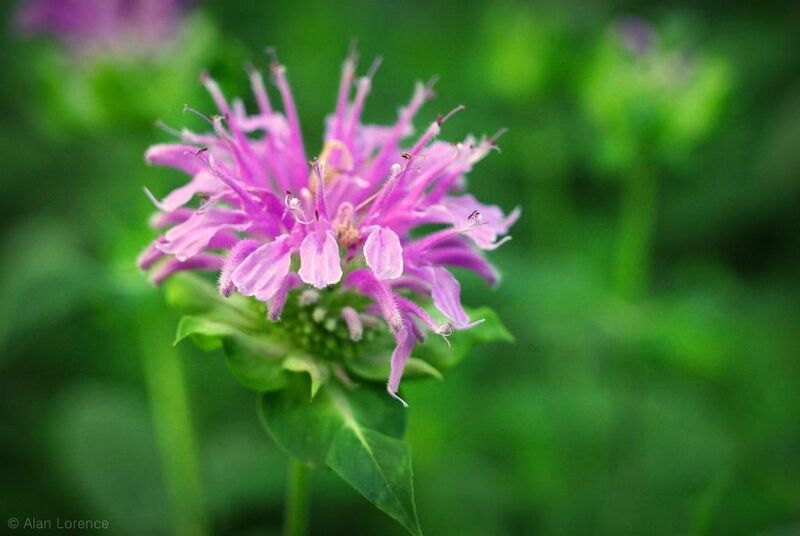 We grow bee balm in pots - it's easy to control and never gets mildew. I love bee balm! Fancy: :) It could have been at the end of a long hike too, but the bike won out this day. Such fun! Lisa: You may be in an area of the country that doesn't have powdery mildew problems, as I don't see how growing it in a pot would help. A large patch of it must have been a sight to behold indeed in person. Although your six feet patch seems just as good as conveying the value of its presence! Mark and Gaz: A large garden planting is nice, but a field full of any flower is an incomparable thing of beauty! What an amazing sight. 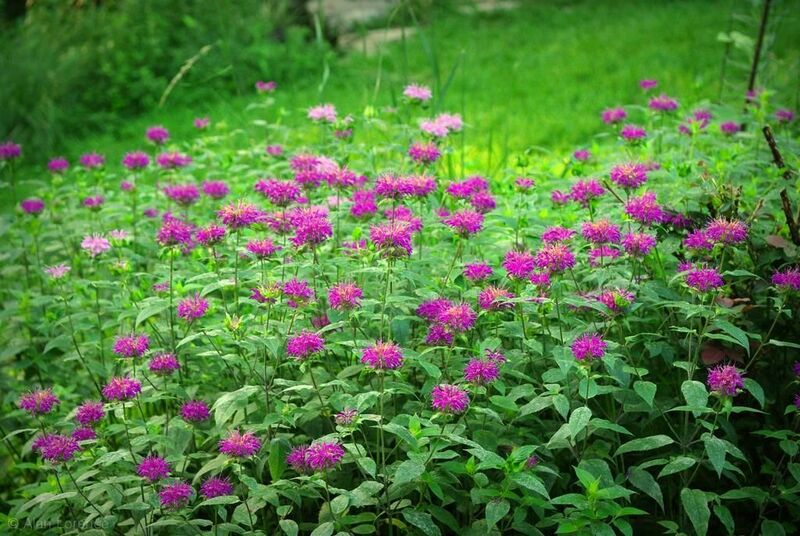 I love Monarda and have finally found one that is reliable in Texas. Peter's purple. You are right about it spreading though. Ha! You're right! I didn't mean to connect those two thoughts - the pots have nothing to do with the lack of mildew, I'm sure. But I can't grow phlox because of powdery mildew, so we definitely have it. Not sure why it leaves the monarda alone. I have been working on monarda in my garden for a couple of years. It is a bit damp for some of them. This year is my first real success. I share your ambivalence about monarda. I even tried ripping mine out, silly me. Now I let it grow were it will. I would love to see that field in person. Was the buzz deafening?